Enel Green Power placed an order for 60 SG-4.5-145 turbines, delivered with a flexible power rating of 4.2MW, for two projects won in Mexico’s clean energy auction in 2017. The Italian developer will install 24 turbines at its 100MW Parque Amistad III and 36 at the 149MW Parque Amistad IV wind farms, for a combined capacity of 249MW. Both projects are in the northern state of Coahuila, and must be online between July 2019 and June 2020, according to auction rules. 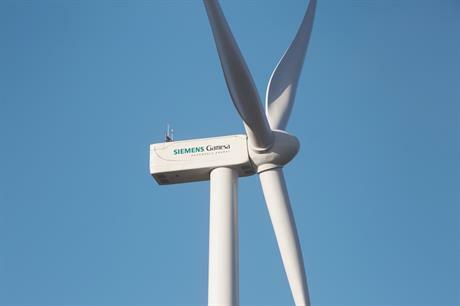 SGRE will manufacture the turbines’ nacelles in Spain and China, and blades and towers in Mexico. It will also provide operations and maintenance (O&M) services for the projects for five years. When the manufacturer first unveiled its 4MW platform at WindEurope’s annual conference in 2017, it had a 4.2MW nominal power rating. In August 2018 it upgraded the platform to have a nominal power rating of 4.5MW, with a flexible output of between 4.2MW and 4.8MW. The platform comprises three models, one for each wind regime: a 132-metre rotor for high-wind sites, a 145-metre for medium-wind projects, and a 155-metre rotor for low-wind conditions.